"I completed my Bachelor of Science in 2011, with a double specialisation in pure and applied mathematics. When I was choosing my breadth subjects in first-year, a subject adviser suggested I might like microeconomics. I didn't expect to learn economics at university and I certainly didn't expect it would become a major research focus of my PhD. Breadth is one of the most exciting aspects of the University's undergraduate degrees. Breadth subjects allow students to gain knowledge and understanding across a broader range of disciplines, enabling them to develop insight, experience, and new ways of thinking in areas distinct from the main fields of study in their degree." "In 2013 I finished my Masters of Science (Mathematics and Statistics) specialising in the application of mathematics on economics. During this I began to appreciate how mathematics can be used as a powerful tool to gain insight into problems in a variety of fields and applications." The Masters of Science (Mathematics and Statistics) is a flexible program that allows students to study subjects across Pure Mathematics, Applied Mathematics, Mathematical Physics, Operations Research, Discrete Mathematics, Statistics, Probability and Stochastic Processes. Subjects are taught at an advanced level and form an ideal preparation for research in Mathematics and Statistics, including doctoral (PhD) studies. 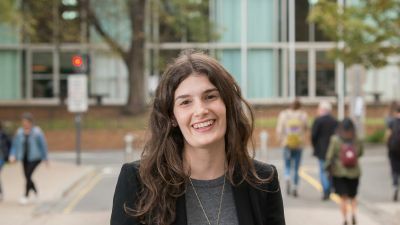 "Studying at the University of Melbourne has given me the opportunity to pursue my research interests in mathematics and economics with excellent supervision and mentoring. It has given me a broad range of experiences, such as living on campus at Janet Clarke Hall, tutoring undergraduates and travelling overseas. I would encourage science students to consider taking mathematics subjects, as they equip you with valuable quantitative, problem-solving and analytical skills." This story originally appeared on Meet our students in the Faculty of Science website.